A clean and well-maintained car is not just easy on the eye but has plenty of benefits for the car owner as well. Regular car washes have been proven to enhance the value of your car, protect your car’s exterior to harsh elements such as hail, and can go a long way in ensuring that your car functions at optimal efficiency. You reap even more benefits when you opt to wash your car yourself instead of taking it to a car wash. By choosing to wash your car yourself, you can save a lot of money. More importantly, you have more power in choosing the products more specifically tailored to your car’s needs. 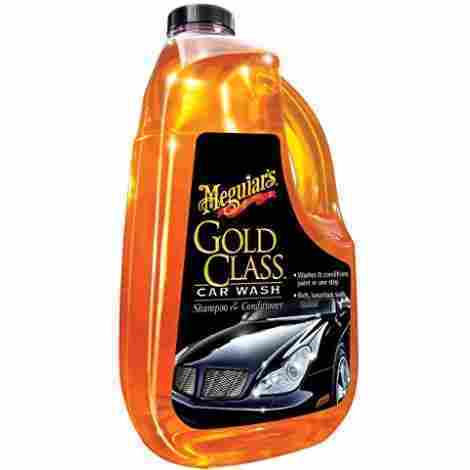 Meguiar's is a well-known and loved brand among car owners all over the world. The brand itself has been manufacturing car care products for well over a century and are widely considered leaders in the field. The G7164 soap formula is particularly loved as it is powerful enough to strip away thick layers of dirt and grime, without stripping your car's exterior of its wax protective layer. The formula is efficient enough to strip away dirt while the essential oils in the soap work to condition and protect your car's exterior. The result is a clean car with a glossy finish and restored color. This car soap offers a high lubricity formula which means that the soap itself is very slippery. This is an ideal feature of a car wash soap since all the dirt and grime will simply slide off and require less physical effort from you. 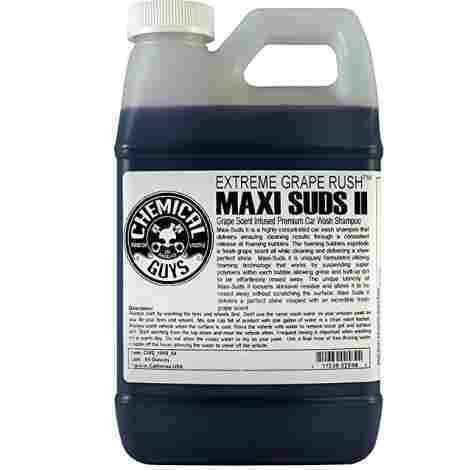 Chemical Guys is another well-respected manufacturer of ar care products all over the world. This soap has a gentle PH-balance that does not compromise your car's exterior while still effectively getting rid of dirt. The formula has been created to offer a high amount of foam and lubricity which makes it ideal for the two bucket wash method. This soap's concentrated formula makes it an ideal choice for those who favour the two bucket method. Simply use an ounce of formula in a 5-gallon bucket of water for easy and powerful cleaning. Armor All's Ultra Shine is another product that promises a car wash soap that washes and waxes all in one. Their formula contains gentle washing agents as well as lubricants and carnauba wax that cleans your car and leaves it with a glossy finish. The unique combination of ingredients works to protect your car's exterior against the elements and is especially effective in helping water to bead on your car's paint. This formula's impressive list of ingredients works effectively to cut through dirt while simultaneously creating a protective barrier on your car's surface. The formula includes premium ingredients such as real carnauba wax. The soap contains several ingredients that can take care of heavy-duty cleaning while still protecting the integrity of your car's exterior. The soap is safe to use on any surface. This environmentally friendly soap comes highly regulated by many car care experts worldwide. This product promises quick and hassle-free car washing. The formula offers a gentle PH-balance that cleans effectively and enhances your car's shine. This soap is a great all-rounder since it has enough foam and lubricity for quick cleaning. Most importantly, the soap contains a wax to protect your car's exterior. This soap formula is perfect for quick, effortless cleaning. The soap's gentle PH-balance protects the integrity of your car's exterior while added wax works to enhance your car's shine. This formula is highly concentrated which makes washing easier for you. The concentrated soap ensures that dirt and grime slide off your car easily. This also means that you'll use much less and a single bottle will last you a long time. 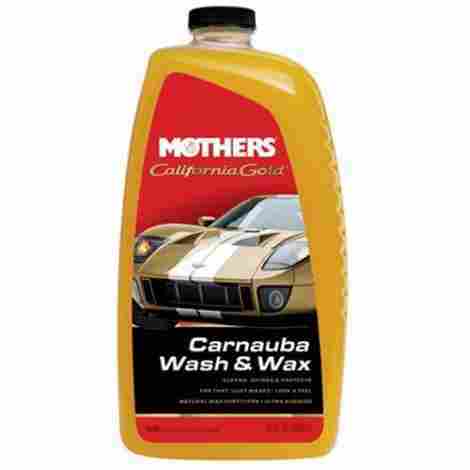 Mother's is one of the cheapest car wash soap options available. Despite this competitive price, this car was soap packs a punch in how effectively it cleans. The concentrated formula also means that you'll need to use a lot less compared to other soaps. 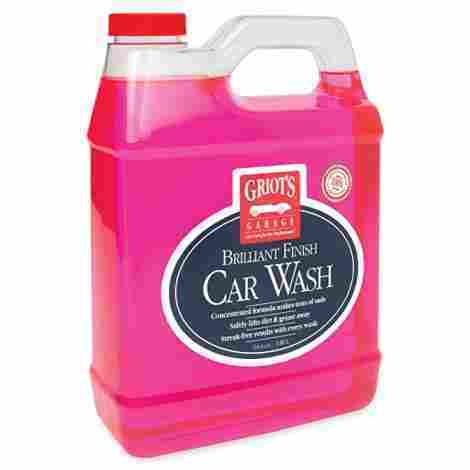 Griot's Garage formula promises a selection of premium ingredients that will clean your car without stripping its wax. The soap offers plenty of foam for easy washing and leaves your car with a shiny, streak-free appearance. The versatile concentrated formula works well on any car exterior to clean and protect your car. The great smelling formula is also biodegradable for guilt-free washing. This formula provides a rich lather with plenty of foam. The high foam content is ideal for car soap since it makes washing easier for you. A high foam content means that dirt will come off easily and won't require hours of scrubbing. Adam's NEW Car Wash is often praised for its variety and quality of ingredients. 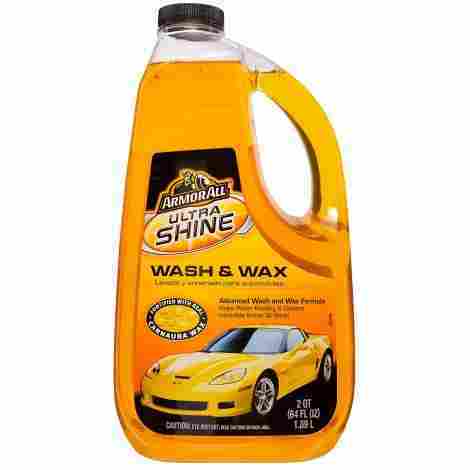 The formula contains wax, acrylic, and polymer which all contribute to a clean and shiny car. Adam's prides itself on the science and technology behind its products. Every ingredient added has been scientifically proven to clean, protect, and enhance your car's appearance. The result is a powerful yet gentle soap that effectively cleans your car and protects its wax sealant. Despite the soap's powerful performance, the formula itself has a neutral pH. The soap will be gentle on any surface while still effectively removing dirt and grime. The soap will not strip your car of its wax and is gentle enough to be used on your car's trim. This soap formula is concentrated which provides a high foam content. Only a little soap is needed to work up into a rich and effective lather. A single bottle will last you a very long time. This formula is more expensive than other products on the market. The high cost is attributed to the premium ingredients that the formula contains. While it may be more expensive, it will last you longer thanks to the formula's high concentration and rich foaming capacity. This soap was created to function as a car wash soap and wax all-in-one. Usually, a washing and waxing product compromises either the quality of the soap or of the wax. This is not the case with Meguiar's hybrid formula. The soap is perfectly balanced and effectively lifts dirt and grime off your car, while the wax works to protect your car and adds a glossy sheen to its appearance. 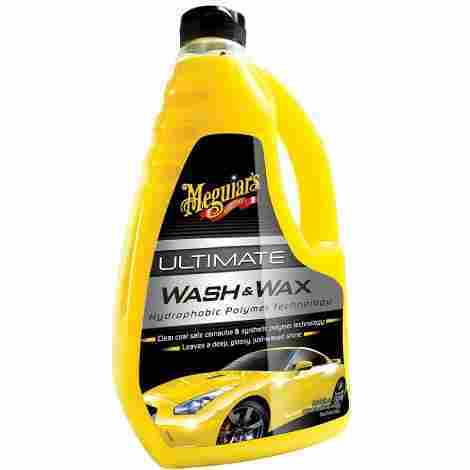 The added polymers in the formula give your car that "just waxed" look without compromising on the soap's foam. This soap is ideal for someone who wants to clean and wax their car without spending too much time on it. 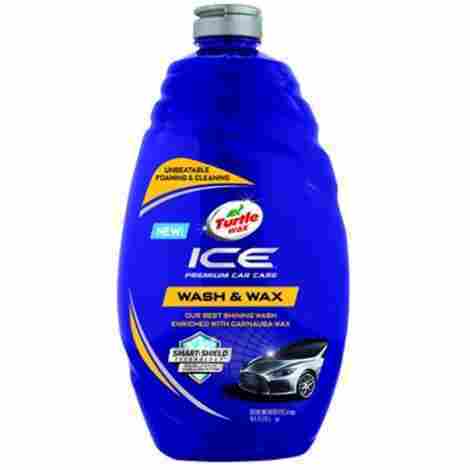 This product can easily be worked up into a rich lather than quickly and gently cleanses your car. The soapy suds is not at all affected or compromised by the product's added wax. This option is more expensive than other car wash soaps. However, the formula operates as both a washing and waxing agent. This means that you won't have to spend extra time and money on additional products. This soap option provides heavy duty protection for your vehicle. The soap itself provides a rich slippery foam that easily lifts soil and dirt from your car. In addition, the formula contains a variety of high-quality polymers that work together to create a protective barrier on your car against the elements. This product is great for people who want to give their car added protection. The product's unique combination of added polymers work together to create a unique protective layer on your car's exterior. This protective barrier will make sure that your car is weatherproof in all conditions. The soap contains several ingredients that work to enhance your car's color, clarity and gives it a glossy sheen. This means a great all-rounder product for people who don't want to spend hours caring for their car. This is one of the cheaper products available on the market. While you do need a considerable amount of soap to clean your car, the product is a great option for entry-level car enthusiasts. This concentrated formula will quickly and effectively get rid of any dirt and grime build up without compromising your car's exterior. 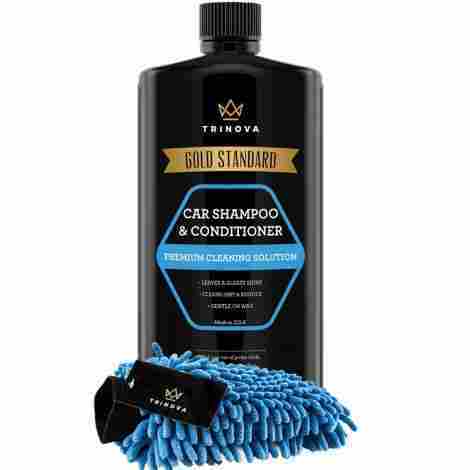 TriNova has formulated a versatile formula that can be used on any car surface inside and out. The soap is rich in foam and lubricity for gentle, effective cleaning. The formula has also been enriched with ingredients to condition your car. This formula is highly concentrated and you will only require a small amount to create a rich and effective cleansing lather. 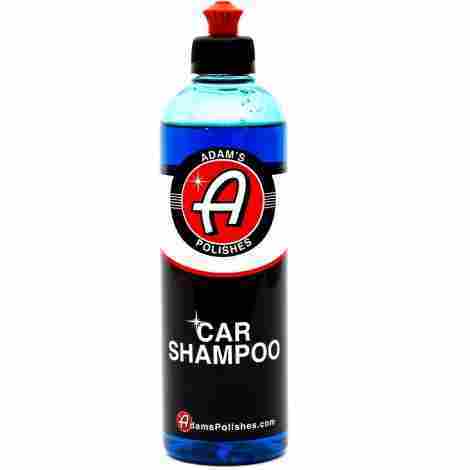 The concentrated formula ensures that you clean your car efficiently and saves you money. This soap is more expensive than other options available on the market. However, the concentrated formula means that you won't have to buy new soap regularly. In addition, most bottles of this product usually come with a free microfibre mitt. Compared to other products, Zymol is somewhat more expensive, yet not exorbitantly so. The higher price can likely be attributed to the product's list of entirely natural and sustainable ingredients as well as the fact that the soap is a concentrated formula. Q: What is a car wash soap? A: A car wash soap is a cleaning agent specifically designed to clean and protect your car. The ingredients in a good car wash soap have been carefully selected to clean your car without damaging its exterior and to enhance its appearance. Q: Can I use a regular household soap? A: No. Regular household soaps such as dishwashing liquid are too harsh to use for washing your car. Household soaps contain acidic or abrasive ingredients that can strip your car of its protective wax sealant. With prolonged use, general household soaps can damage your car’s paint and its metal body. A: Experts recommend washing your car once a week for optimum car health. Regular washes are important to protect your car’s exterior and can greatly add to your car’s performance. Moreover, regular washes will enhance your car’s value over time. Consider washing your car more often if you do live in an area where your car gets dirty quicker, such as sandy or muddy areas. Q: How much soap do I need to use per single wash? A: This really depends on which car wash soap you use. To get the best results, you should follow the instructions on the bottle. Concentrated formulas will require less soap per gallon of water used compared to regular non-concentrated formulas. Q: How do I wash my car? A: Before washing your car you should ensure that your car is parked in a shaded area. Washing the car in direct sunlight could cause soap to dry quickly and leave streaks and grease behind that is difficult to remove. If you are unable to wash your car in a shaded area, be sure to frequently hose down your car so that the surface stays wet. Q: Which technique is better for washing my car? A: Both techniques work well and depend on your preference and available gear. The two-bucket method is great for people who prefer having more control over the physical washing process. However, foam guns are somewhat more efficient since they create a richer foam which translates to quicker and easier washing. 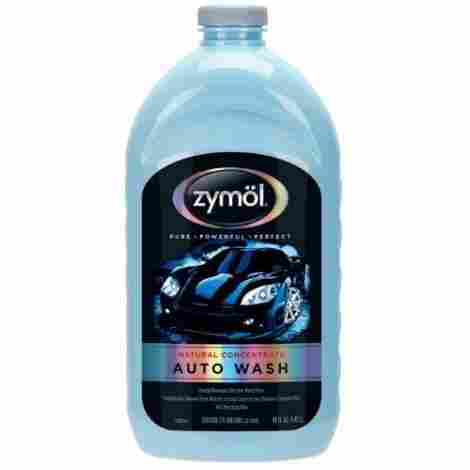 Q: Is car wash soap safe to use on matte or enamel finishes? A: Most car wash soaps from reputable manufactures should be gentle enough to use on special finishes such as matte or enamel. A good quality car wash soap will not damage your car’s finish or detailing in any way. Q: Can the added wax in a car wash soap leave a greasy residue? A: Certain products that claim to act as a dual wash and wax agent, the added wax often undermines the product’s cleaning capabilities. This often leads to a greasy residue and streaks left behind on your car after rinsing. If you are looking for a car wash that also acts as a wax, be sure to always buy a good quality soap from a reputable manufacturer where the ingredients are balanced to prevent any greasy film or streaks. Q: Can I use the car wash soap on the interior or my car? A: Since car wash soaps have been formulated to be very gentle, they are safe enough to use on the interior of your car. You can safely use your diluted car soap formula and a soft cloth or chamois to gently clean fixtures on the inside of your car. Be sure to vacuum your car before cleaning it with your soap solution. Q: What equipment do I need to wash my car? A: The equipment you need to clean your car will largely depend on which method you decide to use. Q: How do I dry the car after washing it? A: Use a soft towel or chamois cloth to gently dry off residual water after the wash. Instead of rubbing harshly over your car’s exterior, use the towel or chamois to gently pat your car dry. Take care to dry your car gently to prevent any accidental scratches. Q: Can I use other car care products in addition to the car wash soap? A: Yes, you can! Even though several products contain added wax, you can still add your own wax product after washing your car. Other products you can use include dashboard and trim cleaners, glass cleaners, and special products to clean up your rims. Q: Do I need to use a wax separately if my soap already contains a wax? A: This really depends on the kind of product you use. Generally speaking, soaps which contain added waxes or polymers are great for a quick wash and wax but are not a long-term solution. If you are using a combined wash and wax product, you should be prepared to use an additional wax every few washes just to ensure that your car’s protective wax sealant remains in place. Meineke – Can You Use Dish Soap to Wash A Car?